Research about the connection between radon gas and lung cancer has gained more attention in recent years. But there’s good news: radon levels can be reduced significantly, and Mountain State Inspections LLC DBA: Radon Solutions of WV can help. 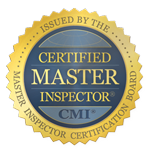 As a member of the National Radon Defense network of radon mitigation experts, Mountain State Inspections LLC DBA: Radon Solutions of WV is a certified and trained radon mitigation expert in West Virginia and Ohio. Contact us today for more information about radon testing and our radon reduction services. Radon is a naturally occurring radioactive gas that has become the second-leading cause of lung cancer — second only to cigarette smoke. Lung cancer kills more people each year than the other top cancers combined. It also receives the least amount of funding, because many people believe it’s a self-induced disease. According to the World Health Organization, radon causes 15 percent of the world’s lung cancer cases and kills 20,000 people each year. Radon levels are measured in picocuries per liter, or pCi/L. A measurement of 1 pCi/L is equal to 2.5 cigarettes each day. If your home has a reading of 4 pCi/L, which is the Environmental Protection Agency’s required action level, every person is breathing in the equivalent of 10 cigarettes per day. The amount of radiation in 4.0 pCi/L of radon is actually equivalent to the radiation in 100 chest X-rays. Sure that seems like a lot, but this gets worse. Most hospitals actually only allow patients to have four chest X-rays each year. Let’s do the math. That converts to the equivalent of .16 pCi/L per X-ray and .64 pCi/L of radiation a year with four X-rays. In other words, radon mitigation in West Virginia and Ohio is crucial to the overall health of any homeowner in this state. 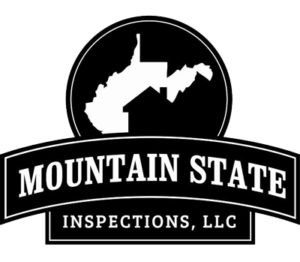 Contact Mountain State Inspections LLC DBA: Radon Solutions of WV today to get a radon inspection and mitigation system in your home. There is no reason to wait any longer to address the risks of radon. We offer free estimates on all our radon services in Weirton, Morgantown, Wheeling, Moundsville, Steubenville , Saint Clairsville, Follansbee, Martins Ferry, Bellaire, Toronto and the nearby areas.